The Edmonton Oilers travel to PNC Arena to play the Carolina Hurricanes on Wednesday, September 27, 2017. The opening line for this game has the Oilers at +105 and the Hurricanes at -130. Edmonton had a record of 47-26-9 last season and on the road they had a record of 22-14-5. They finished 2nd in the Pacific Division. They scored 247 goals and gave up 212 goals for a point differential of +35. For the season they had an ATS record of 54-41-0 and an over/under record of 39-44-0. Carolina finished with a record of 36-31-15 including 23-12-6 at home last season. They were 7th in the Metropolitan Division. They scored 215 goals and surrendered 236 for a goal differential of -21. Their record against the spread was 36-46-0 while their over/under record was 34-40-0. 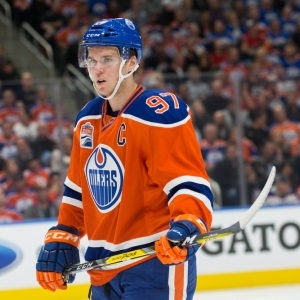 Connor McDavid accumulated 97 total points last season for the Oilers. He had 30 goals last year with 242 shots on goal giving him a shooting percentage of 12%. He had a total of 67 assists on the season and averaged 21.2 minutes played per game. Leon Draisaitl averaged 18.9 minutes of ice time per game last year. In that time he had a shooting percentage of 17% by scoring 28 goals on 168 shots. He had 47 assists giving him a total of 75 points on the season. Cam Talbot had 42 wins and 22 losses last season in net for the Oilers. He had 2,117 shots against him and he gave up 171 goals. He made 1,946 saves for a save percentage of 92%. Sebastian Aho scored 48 total points last year for the Hurricanes. He had 23 goals last season with 206 shots on goal giving him a shooting percentage of 11%. He had a total of 25 assists on the season and averaged 16.7 minutes played per game. Jeff Skinner averaged 17.7 minutes of ice time per game. In that time he had a shooting percentage of 13% by scoring 35 goals on 269 shots. He had 26 assists giving him a total of 61 points on the season. Scott Darling had 18 wins and 5 losses last year in goal for the Hurricanes. He had 877 shots against him and he surrendered 67 goals. He made 810 saves for a save percentage of 92%. The Oilers had 103 total points last season. They scored 247 goals while giving up 212 goals. They had 245 power play opportunities and scored 56 goals on those chances for a percentage of 23%. The Oilers allowed 223 power play opportunities and gave up 43 goals on those chances for a penalty kill percentage of 81%. They averaged 31 shots per game and as a team shot 9.70% for the season. They allowed 29 shots to their opposition per contest and had a team save percentage of 91%. The Hurricanes had a total of 87 points last year. They had 41 power play goals on 231 opportunities for a percentage of 18%. They allowed 202 power play opportunities and gave up 32 goals on those chances for a penalty kill percentage of 84%. As a team, the Oilers had a total of 215 goals scored while they gave up 236 goals last year. They averaged 30 shots per contest and had a team shooting percentage of 8.62%. As a team they gave up 28 shots per game and had a save percentage of 90%. Edmonton had a Corsi percentage of 50.4% as they attempted 4,704 shots on net at full strength while they gave up 4,623 shots on net in the same situations. Their Fenwick percentage was 51.3% as they had 3,504 attempts while they gave up 3,329 shots on the defensive end. The Oilers started possessions in the offensive zone 51.5% of the time while their defensive zone percentage was at 48.5% for the season. They had 2,302 face off wins compared to 2,592 losses, meaning their faceoff win percentage was 47%. On defense Edmonton had 2,073 hits and they blocked 1,294 shots from the opposition. Carolina attempted 4,766 shots at full strength last year and they gave up 4,363 attempts, meaning their Corsi percentage was 52.2% for the season. In terms of Fenwick percentage, they were at 51.6% as they had 3,514 shots while they surrendered 3,301 attempts on defense. The Hurricanes had an offensive zone percentage of 56.1% and their defensive zone percentage was 43.9% last season. They had a faceoff win percentage of 53.1% as they compiled 2,430 face off wins last season and they suffered 2,150 face off losses. On defense Carolina blocked 1,062 shot attempts and they had 1,611 hits as a unit. Who will win tonight's Oilers/Hurricanes NHL game against the spread?